Elusive bread-bicycle captured, at last! 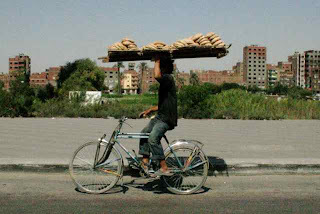 After multiple attempts, I was finally able to capture a photo of a bread-bicycle in action. So exciting (and astounding)!